Crazy Rich Asians and Hello Mr. Billionaire are two 2018 summer hits that poke fun at the insane, inane lifestyles made possible by extreme wealth. The former, an American-made film, extols a "Chinese" identity but pulls its punches in social terms, while the latter, a Chinese film made entirely in China, punches away with gleeful scorn and hard-hitting jabs. The irreverent and crazy Hello Mr. Billionaire, by directing duo Yan Fei and Peng Damo, is not great art, but it sails right past the American-directed film Crazy Rich Asians in its courageous irreverence, social satire and exposure of the rich-poor divide. For all its first-class swagger and vaunted "Chineseness", Jon Chu's Crazy Rich Asians is a timid tale that lily-gilds Singapore tourist destinations and exploits the glory of Chinese cuisine as exotic filler. The food glorified within might be Chinese, but it's a white-bread film that follows tired old Western tropes. More tellingly, at a time when the United States is re-engaging in Cold War rhetoric and "free-world" triumphalism, this Hollywood production is unwilling or unable to take the bold critical liberties that can be found in some of the silly yet innovative movies coming out of China today such as Dying to Survive or Hello Mr. Billionaire. In the American-made flick, the exploration of crazy money makes money look good; it's basic critique being the fusty observation that "old" money is more dignified than "new" money. Hello Mr. Billionaire, on the other hand, is bitter, better and more biting. When portraying the lives of billionaires on screen, there are two basic approaches; lavishly presenting the lives of the rich in soft-focus veneration, or ruthlessly mocking inequality and the moral corrosion of wealth until it's obvious the rich are no better than anybody else, and probably worse. It is a testament to how far cinema has come in China that a local production company founded by slapstick comics could do more of a social critique than a US-backed film given the full Hollywood treatment. Not only is Hello Mr. Billionaire funnier; it is also edgier, more incisive with deeper meanings. Jon Chu's previous work on action films and a music video with Justin Bieber informs his latest work. He handles lavish parties and song and dance numbers with aplomb, and brings an MTV-style flair to the trumped up "exotic" locales, but he seems too easily distracted by pretty surfaces to tell a coherent story. Hello Mr Billionaire, in contrast, has a ridiculously convoluted plot riddled with holes big enough to drive a high-speed train through, and yet it coheres as a story, the struggle of one not-entirely likeable zany guy trying to spend as much money as possible. 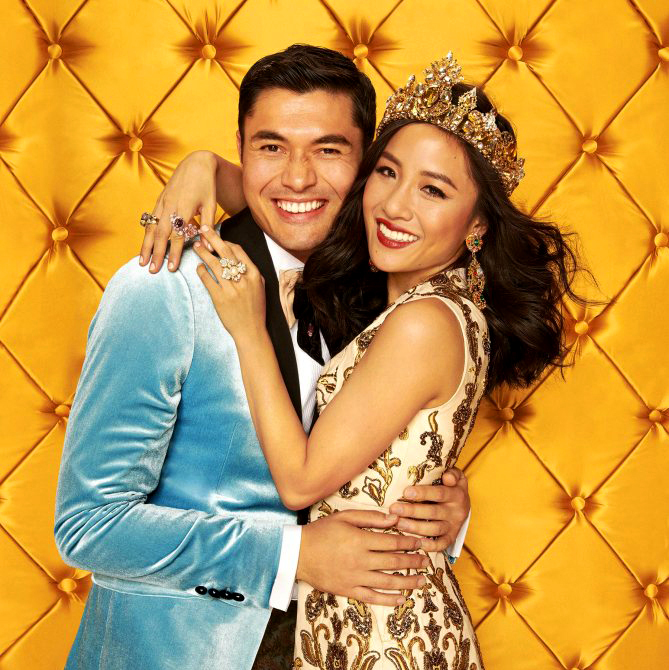 The setting for Crazy Rich Asians is an improbably glamorous Singapore which is unrealistically presented as a super-luxury resort. Singapore does have nice hotels and it has proven itself capable of accommodating the truly rich and truly crazy, but it's not a serious travel destination for serious travelers. Singapore invested heavily in the US-DPRK talks in June, knowing the summit's requisite photo ops and scenic backdrops would provide better advertising than money alone could buy. Both the American film and the Chinese film in question draw on tropes that have been recycled in Hollywood for years: crazy old patriarchs/matriarchs fending off gold-diggers, obsequious servants, madcap romance, and the rocky journey of ordinary youth transported into the slick world of the super-rich. This is the stuff of comedy, and perhaps some wry commentary on the human condition, but Jon Chu's film falls short on both. It makes the mistake of being too gob-smacked by luxury and too reverential to the super-rich for too much of the film's duration. The humor is muted, even when satire is intended, whereas Hello Mr. Billionaire pokes holes and pops bubbles every step of the way. Most of the real estate in Hello Mr. Billionaire, set in a hodgepodge place with a name that sounds like "Tomato City", serves the plot of the film precisely because it is gaudy, tacky and redolent of bad taste. Crazy Rich Asians, in stark contrast, has long sequences indistinguishable from a tourism promotion video, and a highly deceptive one at that. The actors look and act like models, the sets are picture perfect, whether it be a colonial mansion or a high-flying resort. The film interrupts the thin thread of its narrative to highlight the classics of China-inspired cuisine. Who doesn't like Chinese food? What China-based film couldn't rightfully do the same or better? There is enough conspicuous consumption in China for the glitter and bling to find an audience, but when it comes to the identity politics of a US-directed English-language film celebrating Chinese culture of the diaspora (the film has nothing to do with China except as a troubled homeland that had to be escaped to achieve personal and financial success) it might disappoint more than entertain; more of the same-old, same-old from Hollywood. Once again, China's native talent has produced something that feels real and sings free despite limitations, as the best of Chinese cinema often does. The author is a media researcher covering Asia politics.